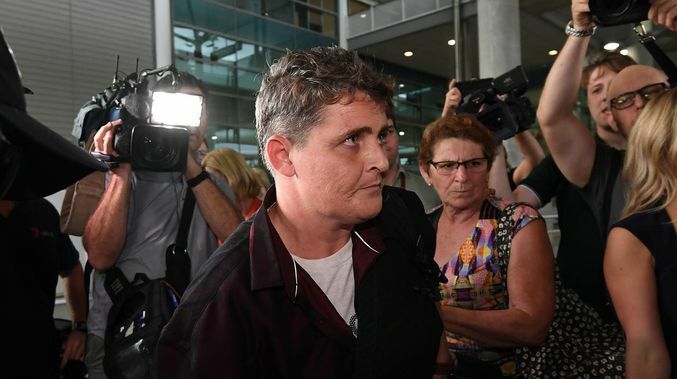 Just one day after Renae Lawrence returned to Australia after 13 years in an Indonesian prison, the Bali Nine drug trafficker has handed herself in to police over a number of outstanding warrants. Ms Lawrence was allegedly involved in a police chase using a stolen car on the Central Coast on March 26, 2005, a month before she was arrested in Indonesia. Police claim on that date, Ms Lawrence stole a car from Sydney’s inner west and drove north with fellow Bali Nine member Matthew Norman. The pursuit allegedly started in Enfield before the pair travelled through Turramurra, Mooney Mooney and Peats Ridge. The car was later stopped by police. By the time Gosford Local Court issued two warrants for her arrest in June that year, she was already in an Indonesian prison awaiting trial. The police spokeswoman said those warrants have now been processed. Ms Lawrence was granted conditional bail and is due to appear in Newcastle local court on Thursday, December 6. Ms Lawrence walked free from Indonesia’s Bangli prison on Wednesday after her imprisonment for her role in the plan to smuggle more than eight kilograms of heroin from Indonesia to Australia. She arrived back on Australian soil on Thursday morning, landing in Brisbane before flying on to her hometown of Newcastle. On Thursday, NSW Police Commissioner Mick Fuller said that, despite believing Ms Lawrence had “paid the price for her sins”, the outstanding matters would be resolved via “arrest by appointment” in the coming days. “I have to be honest with you, I know she’s sinned, and I think she’s paid a fairly heavy price for that,” he said.